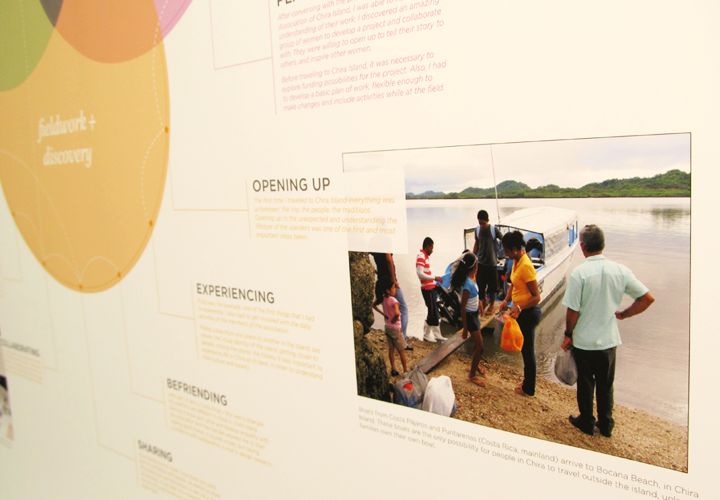 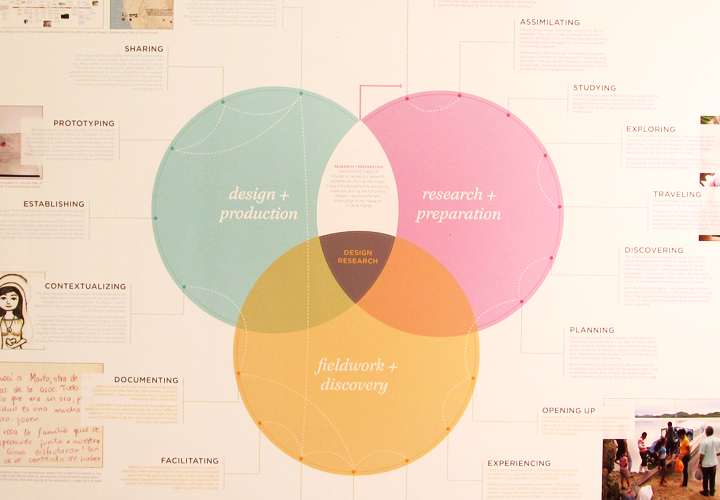 Design research and ethnography have an outstanding value in the design discipline. 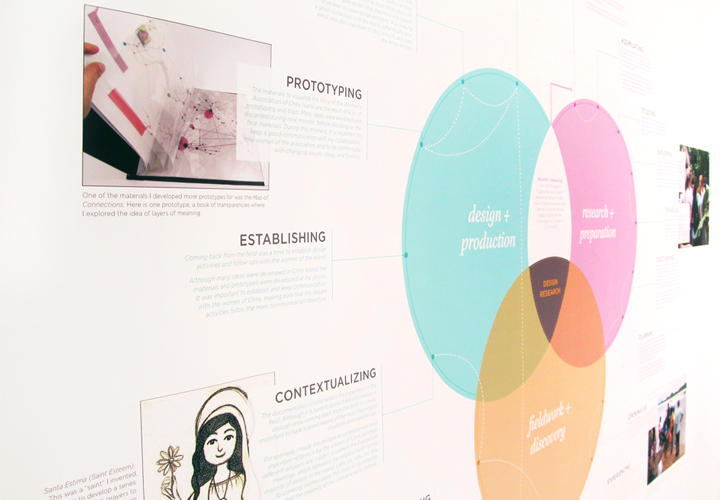 They help the designer to have a better understanding of people, audiences, and contexts, informing the design processes. 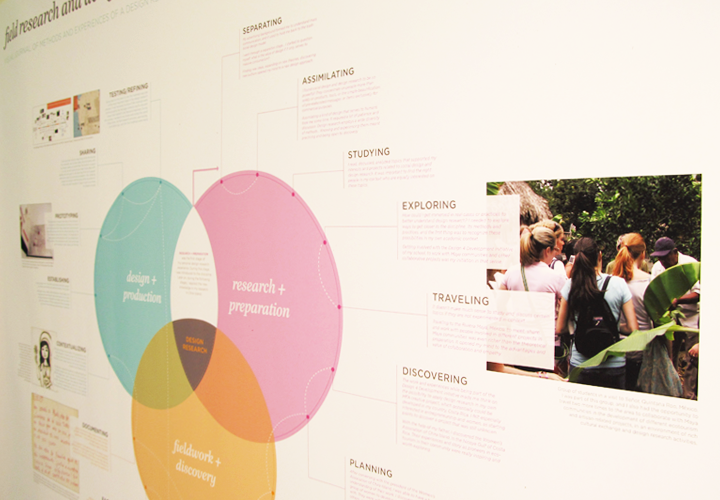 I felt compelled to tell others about some of my own experiences and methods while I learned and applied design research and ethnography since I started my graduate studies, in 2007, and until the end of 2010, when I finished the majority of activities related to my Master in Fine Arts Creative Project, Swimming Against the Currents, entrepreneur women of Chira Island, Costa Rica. 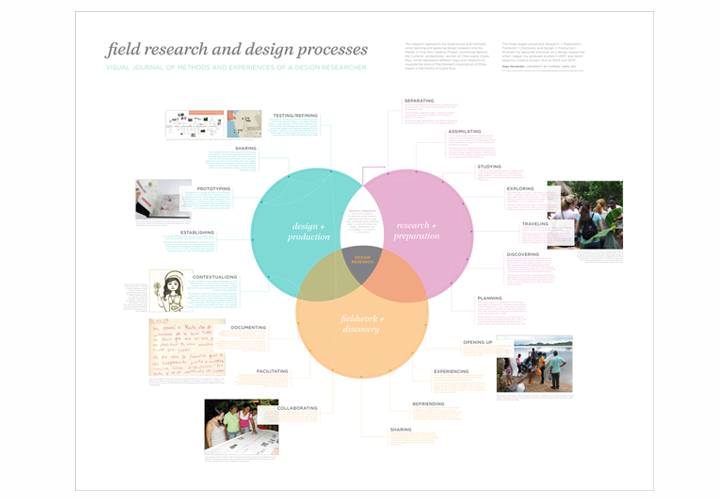 This diagram is a self-reflective visual journal of methods and experiences of my personal design research learning processes and activities, where ethnography played an important role informing these methods.